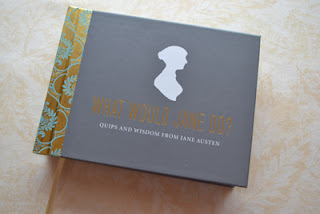 What would Jane do about divisiveness in our nation? I thought it would be only a pause in my day, as I sat at my sewing table in my living room to watch the congressional hearing where FBI Director Comey was to answer questions regarding his investigation about Hillary Clinton's emails. I have no time to waste in getting my sewing done for upcoming craft sales that start in October! I had no idea that I was about to commit to five hours of intense dialogue. At least I would get lots of fleece socks sewn, though I must admit that I hadn't thought of the irony that "fleece" was the theme of the day--pun intended!! I have however, promised my daughter that I will refrain from political discourse in my blog, and so the point in writing this blog is NOT to take a stand on the issue of Hillary and whether or not she should not be indicted but rather to say that I believe that the divisiveness in our country could all be overcome if such dialogue that I witnessed in this hearing would occur between all of us. I was spellbound as to the level of thought that people put into their questions, and I was amazed at Director Comey's sincere, honest and transparent answers (never mind that it seemed that 2 + 2 no longer equals 4). Hours passed quickly and as Comey expressed that he was beginning to experience pain in needing a bathroom break, I experienced the same need. All participants were allowed five minutes each and the oversight committee longer. The questions and answers were exchanged in rapid fire one after another. The range of opinions varied as polar opposite views from disgust at questioning the expertise of the FBI investigation to sincere angst at the apparent lack of consequences for those that appear to violate national security interests. I decided right then and there that thoughtful reflection needs to happen in the world at large just like what was happening right there on TV! Once upon a time patriots of our great nation took seriously the issues of the day and shared such discourse among themselves and worked out their issues through debate and compromise and thoughtful action. At our table we are often accompanied by our digital tablets or cell phones and we report polls and data instead of serious discourse. I know that we are often NOT comfortable with our differences and have even gotten to the point where we choose NOT to discuss them in order to be socially correct. Perhaps this is wise if people cannot handle discussion without putting their fists in action or getting out their guns, but I think that this is where civil discourse is breaking down. We need to listen to each other and use words to persuade, and teach. Perhaps if this would happen more at our own kitchen tables around the world, we would have less violence, and polarization between people. We need to appreciate that points of view need to be heard in order to have a better understanding of issues and how to resolve them. What I saw on TV in this congressional hearing were expressions of passion and differing views, acceptance and challenges posed to improve what isn't working, and suggestions as to what is needed to be done to fix what appears to be current lax attitudes and practices. I am sure that others, like me were saddened that this sort of talk regarding standards was done after actions were taken instead of before, but it is this very process that we are in need of in our country! It takes time and courage for all of us to put our brains to work and have meaningful dialogue and debate in today's high tech, quick fix culture, no matter how uncomfortable and politically incorrect it may seem. It became clear that even the FBI was short sighted and needed different matters brought to their attention before the bigger picture could be adequately accessed and of course, when it comes to politics, sometimes their is intent to avoid truths that may not be so pleasing to some. No matter what issues needs to be worked out, words are better than guns to relate our dissatisfaction and resolve differences. Solutions can only be reached when discourse instead of violence occurs, especially if we are to remain a civilized society where diverse people can live together with law and order and peace. Serious dialogue should never be considered a waste of time. Nothing worthwhile is easy or quick, and I have decided that when it comes to peaceful solutions, I need to start with myself and my own family. We need to become more tolerant of what doesn't please us as individuals and appreciate that the good of all needs to be considered. I realized that it won't start if I don't take on this personal challenge and relate to others in an open, tolerant and courteous manner about matters that truly concern me. I need to become more comfortable with the lack of peace to become more tolerant of differing views and the same needs to happen when we communicate with others on-line or by text. We all need to become be OK with differences without being like children that demand our own way all the time. I cannot believe that serious divisions are coming between the closest of friends and family members over political issues! This is the only way that I can think of to change this climate of polarizing views, with no workable solutions! How easy it is to blame others for the lack of peace and violence in this world, but communication is the key and it begins with each one of us. Tonight my husband got an email from an old friend that decided to invite everyone to participate in a day of doing random acts of kindnesses, as she too felt the need to counteract the divisiveness in our country. It is my idea that instead of avoiding differences and being ultra polite and careful to avoid political division, we need to become less sensitive to hearing things that don't please us. I think that we are living in a more isolated fashion and are stuck within our own heads with all our digital devices and need to talk to each other again, and not just about the weather! I went to graduate school with someone that was taking coursework in psychology and for her project for the semester, she decided to overcome her phobia of snakes and so she worked to de-sensitize herself to her own fears, and her goal was to be able to reach into a cage and pick up a pet snake and show it to the class and then put it back into its cage. She didn't accomplish this treatment of her phobia in one day, but she did it in "baby" steps taken each day. So it is with our toleration and respect of others. We need to practice listening to people who have views that oppose ours and practice acknowledging their concerns and views, and practice respectful dialogue with them. It is the only way that we can eventually to some agreements as to how to fix what isn't working. I think we are losing the art of civil discourse and need to practice it everyday, just like in the days of old! Labels: Political Polarization; violence in USA; teaching tolerance; toleration of differences.